My kids go through phases, like most do, where they love certain foods. Muffins are one of those foods. 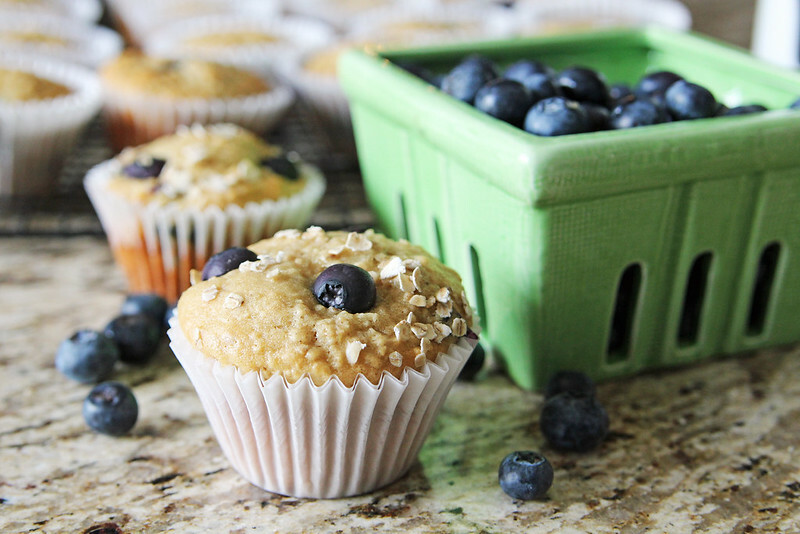 Both boys reeeeeeally wanted muffins last week and I had a Costco-sized carton of blueberries, so I doubled my blueberry oatmeal muffin recipe and decided to blog about it! (this is for a single recipe/12 muffins). Preheat oven to 375°F and grease or line a 12 cup muffin pan. First combine the rolled oats and buttermilk in a liquid measuring cup and set aside. Mix flour, baking powder, baking soda, salt, cinnamon and brown sugar together in a large bowl. Beat the egg and it and the canola oil to oat mixture and mix well. Add the oat mixture to the flour mixture combining well until just moistened. 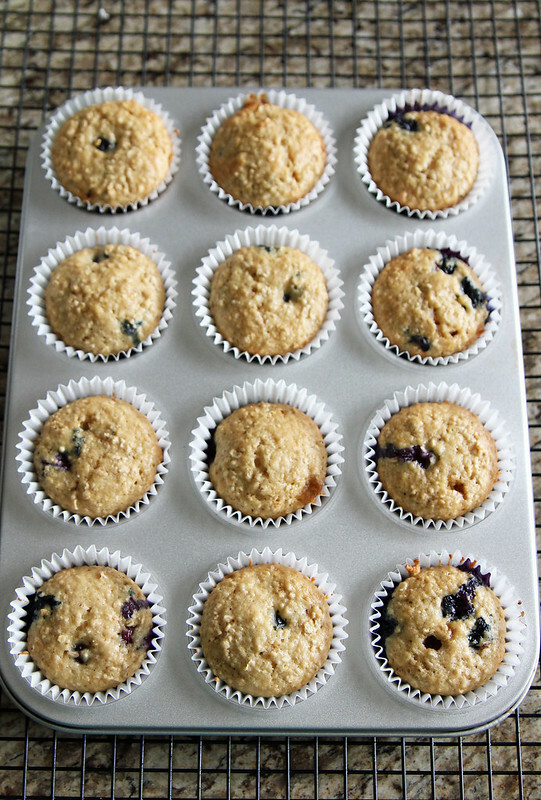 Gently fold in blueberries and scoop evenly into muffin cups, about 2/3 full, they will rise! I really like to use a large cookie scoop to do this. Bake in 375ºF oven for 18 to 20 minutes, or until a toothpick inserted in center of muffin comes out clean and cool on wire rack. Preheat oven to 375°F. Grease or line 12 cup muffin pan with paper liners. 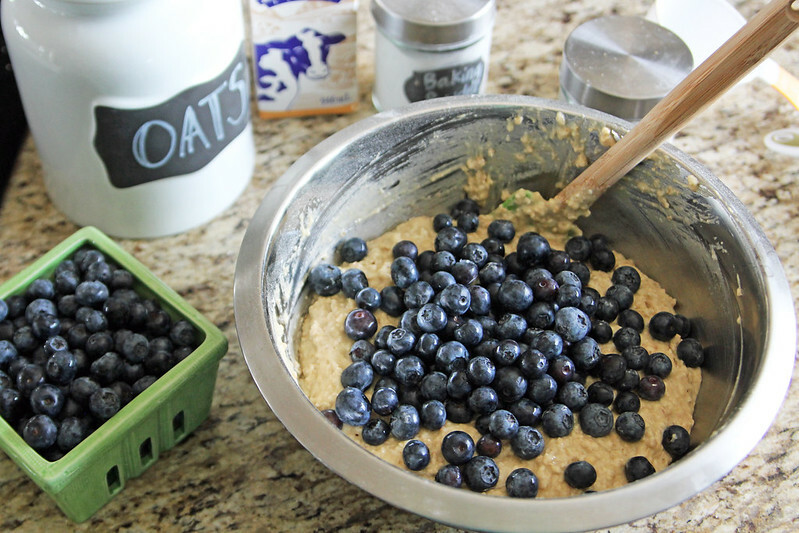 Combine oats and buttermilk in a medium bowl. Let stand. Mix flour, brown sugar, baking powder, baking soda, salt and cinnamon together in a large bowl. Stir well to blend. Add egg and oil to oat mixture. Mix well. Add to flour mixture, stirring just until moistened. Gently fold in blueberries. Fill prepared muffin cups. Bake in preheated oven for 18 to 20 minutes, or until a toothpick inserted in center of muffin comes out clean. Cool on a wire rack. 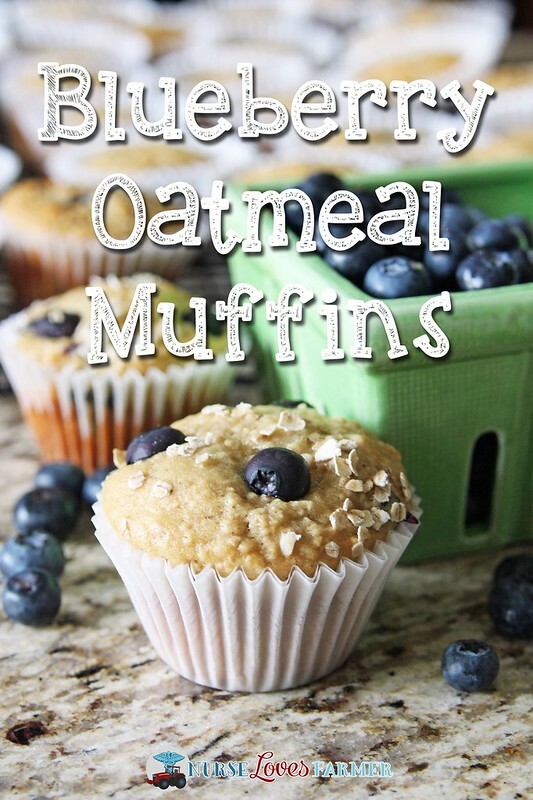 I'm a muffin eater and blueberry is one of my favorites. Next time I'm in town blueberries will be on my list.